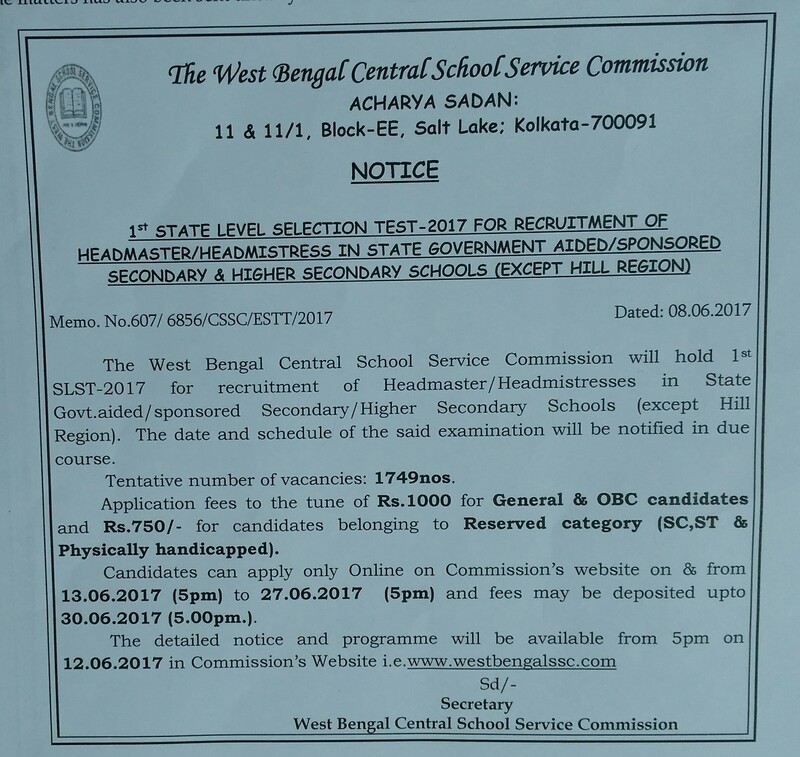 This is to notify that the West Bengal Board of Secondary Education will issue appointment letters, subject to verification of testimonials, to all the candidates recommended by The West Bengal Central School Service Commission. All candidates are requested to bring the testimonials in Original plus one self attested photocopy of each of the following documents for verification. Recommendation Letter of WBSSC (two copies). 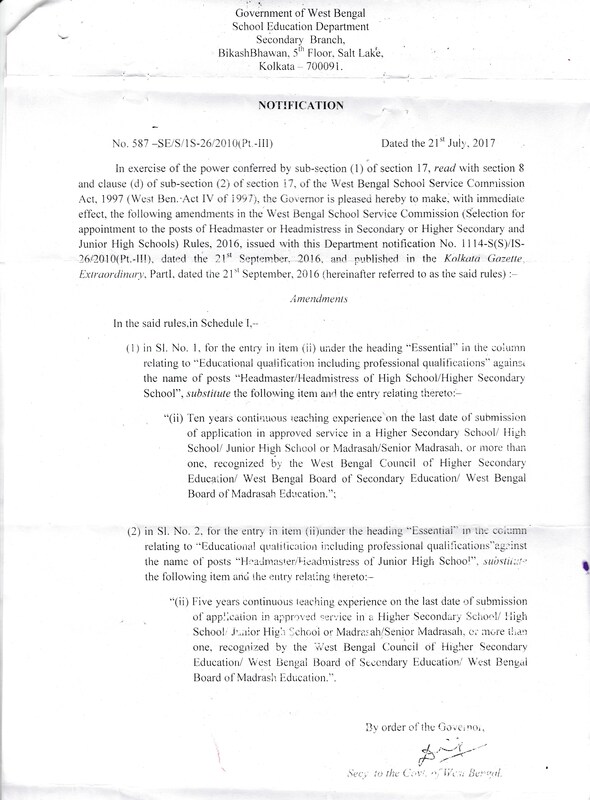 Mark sheet and Admit Card of Madhyamik /Equivalent examination (for CLERK). Caste Certificate and Disabled Certificate, if applicable. One Photo bearing document viz. EPIC/AADHAR/PAN/Driving License. All candidates are requested to follow the schedule as given below and report physically for verification of testimonials at Derozio Bhawan, 1st Floor, Karunamoyee, Salt Lake Sector II, Kolkata 700091. Click Here for more details. Notice for 1st SLST (Work Education & Physical Education), 2016. Online Application in c/w SLST, 2016 has been Closed from 15/03/2016 at 05:00PM. However The Online Application in c/w SLST, 2016 will be resumed from 16/03/2016 at 2:00 P.M.
Help Line Ph No.for Application Form Fill up related Queries : - 033-2321-4550 / 9051176500 / 9051174600 / 9051174700 / 9830454218. Counselling of Waitlisted Candidates for the Post of Headmaster/Headmistress/Librarian under 12th RLST(HM), 2012 and 2nd RLST(Lib), 2012 at different Regional Offices was on 18th December, 2014.